- New Echo TR 24” rear rim, specifically designed for Biketrial. - Designed with superior strength and stiffness, which improves braking performance when using rim brakes. - Its single-wall design helps save unnecessary weight, thus achieving a nice compromise between strength and lightness. 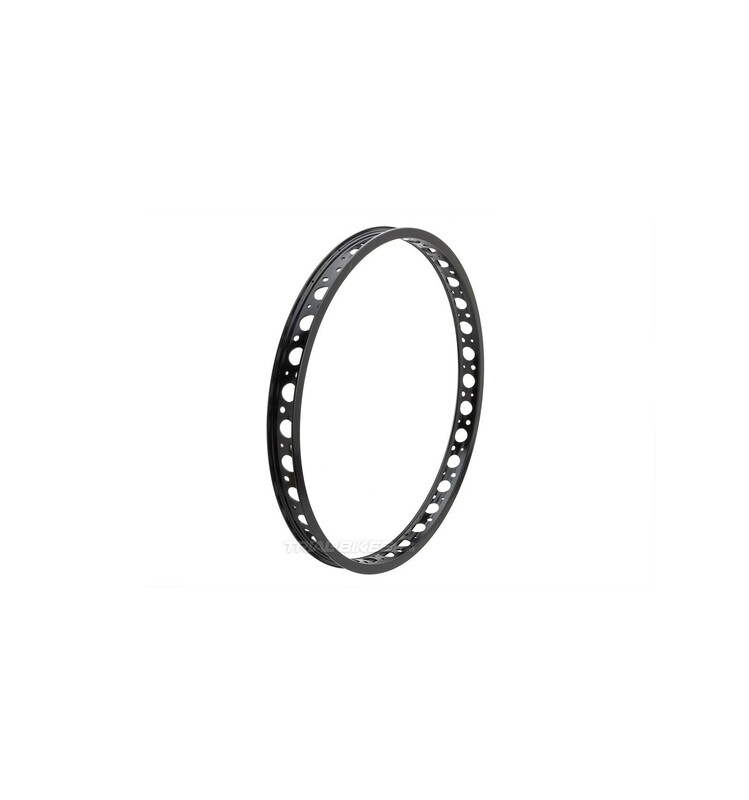 - 44mm wide profile, which offers a great anti-roll performance, even at the lowest pressures. - Only available with 32 spoke holes, located at the centre of the rim. - It also features Ø20mm round holes, that remove unnecessary material. - Large sidewalls (15mm) ensure more than enough room for the pad and offer a better braking performance, therefore being ideal for rim brakes. - Available in anodized black. Please, bear in mind this rim will only suit hubs with 32 holes.